﻿ Treating Bristleworm Stings with Vinegar: Does It Work? I was rummaging through old photography recently and came across something I had documented, but never shared. 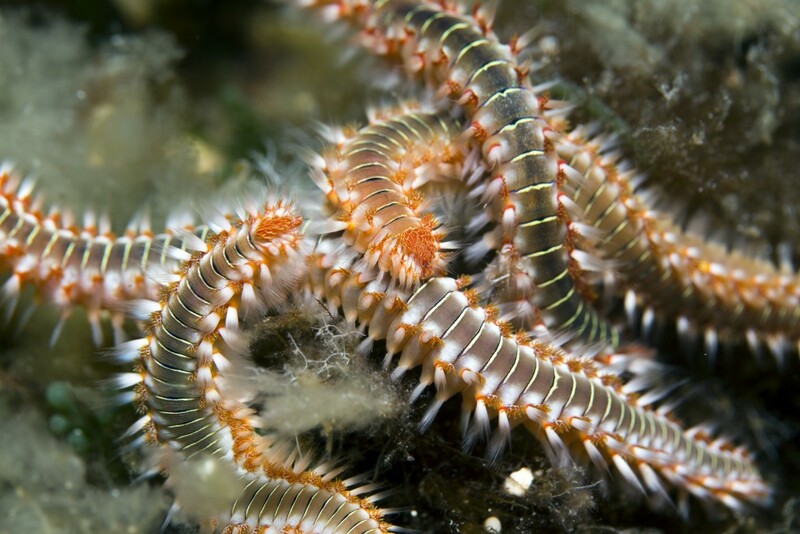 During the teardown of a reef tank, I inadvertently nailed myself with a bristleworm…and not a little one. This wasn’t the coral-eating “Fire Worm,” but simply a large representative of the more benign scavengers that tend to populate most reef tanks. Freshly stung by a bristleworm…I was looking for relief! Still, this little patch of dozens (hundreds?) of tiny spines in my skin was irritating. Having been stung more than once, I can say that even the small ones elicit a painful response. While I can’t really say they also “itch” in the classic sense, they certainly generate a response that makes you want to scratch, well after the spines are dealt with. While I’ve never experienced them, swelling, inflammation, numbness, and rashes have been reported following bristleworm stings. Before I go further, it bears reminding that for some people, a bristleworm sting can be a serious problem requiring medication attention. Pay attention to your symptoms; WebMD suggests that any bristleworm sting is probably worthy of a call to the doctor. Remove the spines, either with tweezers, using various forms of tape (including Duck Tape or even lint rollers) to adhere to the spines and pull them out, or dissolve the bristles with household vinegar. Use over-the-counter painkillers, such as acetaminophen or ibuprofen, to relieve pain. (for full first aid instructions, and more detailed info, visit WebMD). After several minutes of soaking in ordinary household white vinegar, the bristleworm spines, aka chaetae, are partially dissolved. Finally, after a total soak of probably 15 minutes or more, the offending spines are gone. The irritation is reduced, but still persists for a little while. After the soak, I had no further need for topical antihistamines or pain killers. I hope your reactions to a bristleworm sting are as mild as mine were. 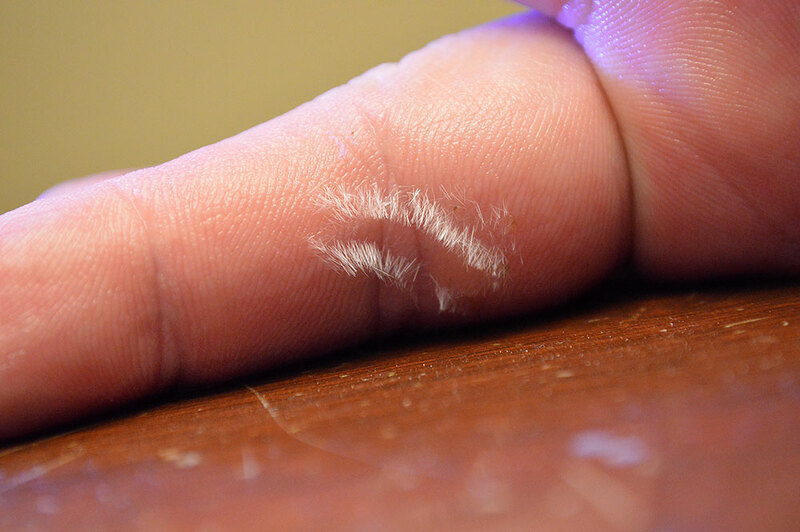 Next time, wear gloves; that’s an easy way to prevent this sort of thing from happening again! Have you been stung by bristleworms? What did you do, and what worked best to alleviate your discomfort? Tell us in the comments below! Thank you very much for sharing. It is not often I run into large bristle worms, but it has happened with new accounts and it is not pleasant! 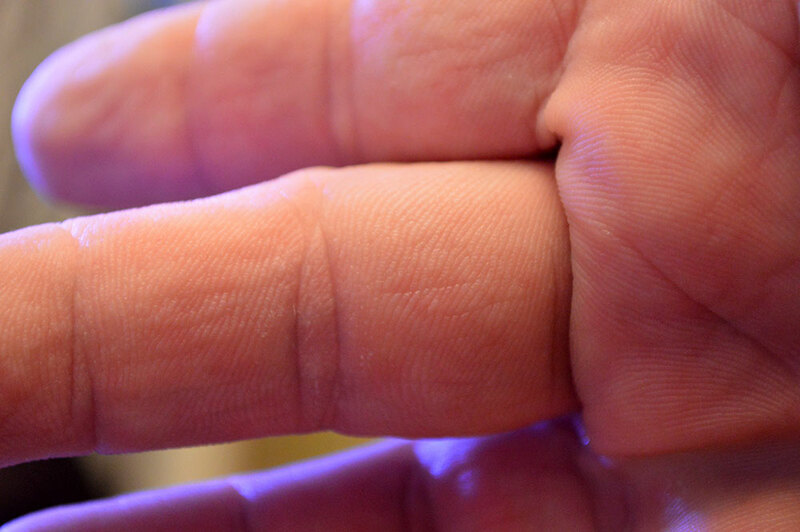 Ouch, moved around some rocks last night – oh geez, my one finger hurts like anything! Looking for some vinegar now! Thanks! Will Apple cider vinegar work for any bristles that may be left in my skin?? Allie, I think it would work the same; it’s the acidity of the vinegar dissolving the bristles, so the type of vinegar likely wouldn’t matter. OMG!!! YOU SAVED ME!! I have been going insane trying to figure out what stung my finger after moving some rocks around. One of my reef friends mentioned bristles but I couldn’t see anything. I decided to just put it in vinegar and as soon as I put my finger in the bristles glowed! I watched them bubble up and after about 15 minutes were gone. I would post pics but the comments dont allow an option. Thank you so much for posting, hopefully I will be back! I was stung on my finger. 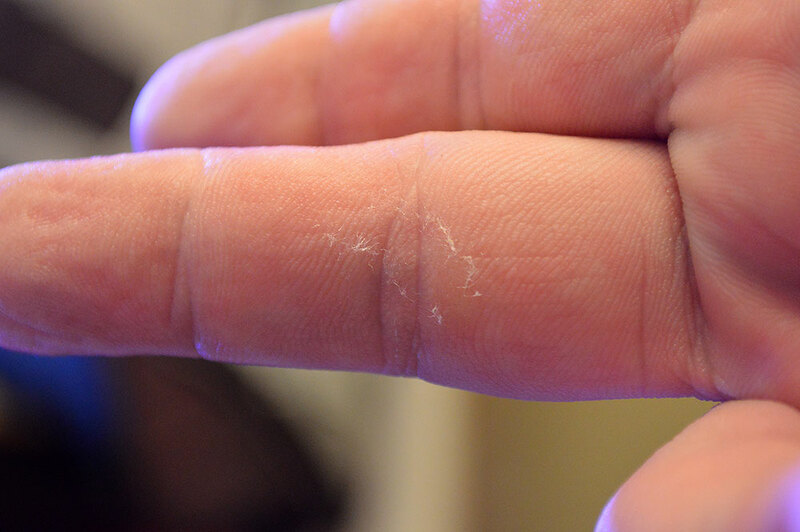 I was sure I got all the bristles out… however 1 week later my finger is hard where the sting was and several under the skin bubble like dots have appeared under my skin? The dots look reddish purple..its not crazy painful, but it is very uncomfortable… any one run into this before? Will a vinager soak help even though the skin appears closed from the stings? Is it possible there still inside my skin? I was stung on my foot in Bali at sunset in a rock pool. Had no idea what it was at the time but scraped the bristles out and ran isopropyl alcohol and detol over it for a couple of days. Fast forward 7 months and it’s still intermittently aches exactly where bristles were. Any suggestions?! Any one else found the same? Hi I was stung on my foot in Bali at sunset in a rock pool. Had no idea what it was at the time but scraped the bristles out and ran isopropyl alcohol and detol over it for a couple of days. Fast forward 7 months and it’s still intermittently aches exactly where bristles were. Any suggestions?! Any one else found the same? I was stung on my finger. I was sure I got all the bristles out... however 1 week later my finger is hard where the sting was and several under the skin bubble like dots have appeared under my skin? The dots look reddish purple..its not crazy painful, but it is very uncomfortable... any one run into this before? Will a vinager soak help even though the skin appears closed from the stings? Is it possible there still inside my skin? OMG!!! YOU SAVED ME!! I have been going insane trying to figure out what stung my finger after moving some rocks around. One of my reef friends mentioned bristles but I couldn't see anything. I decided to just put it in vinegar and as soon as I put my finger in the bristles glowed! I watched them bubble up and after about 15 minutes were gone. I would post pics but the comments dont allow an option. Thank you so much for posting, hopefully I will be back! Allie, I think it would work the same; it's the acidity of the vinegar dissolving the bristles, so the type of vinegar likely wouldn't matter.